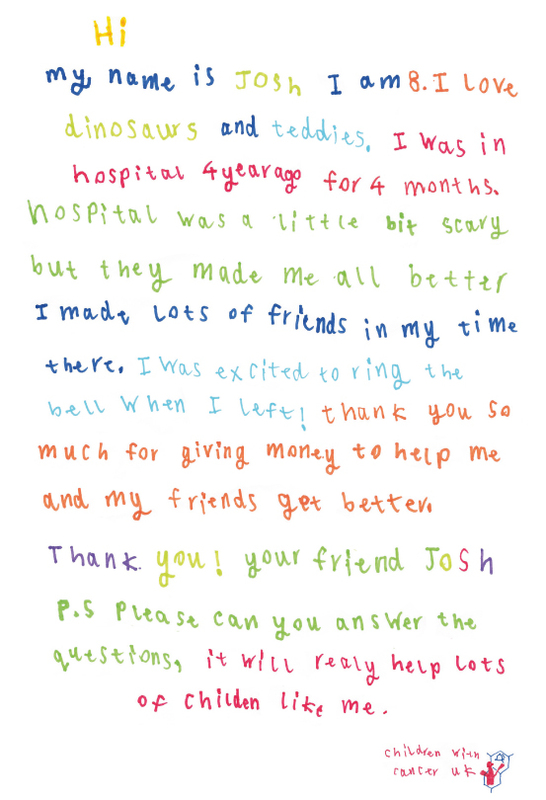 This thank you letter was handwritten by Josh, who was diagnosed with Burkitt Lymphoma at the age of three. 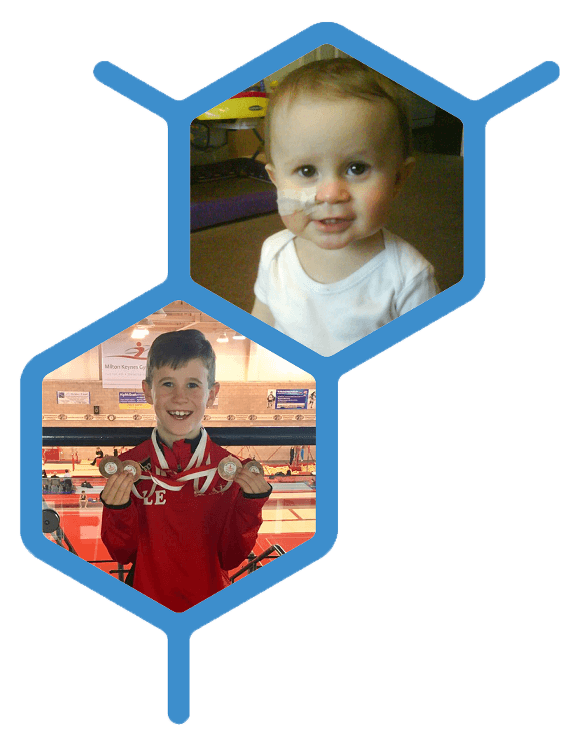 It’s support like yours that funds life-saving research for children like Josh, who’s now eight. He hopes his story will help other children with cancer.